Katabaga is an extinct Aeta language of southern Luzon in the Philippines. Speakers have shifted to Tagalog. Of course, we all have no idea about the above info until we found it written. 🙂 Even yours truly is amazed at the truth. So what killed the extinct languages? I find it really amazing to see traces of Chavacano de Cavite in our daily Tagalog conversations. I have not heard again of these songs in the streets. They are extinct now. Conversations die when nobody talks. Communications end when no one is communicating. Mutual understanding ends when no one is understanding anything. Yes, it happens when everybody ceased to be uncomfortable with someone, somebody or something. This is a bit challenging route. I will finalize the date. I will run this in 9:1 protocol as much as I can. Meet-up is 1:00am @ Jollibee Guadalupe, June 30, 2013 SUNDAY! It’s an 8-hour run or 45Kms whichever comes first. Yours truly is a father of 3, and a husband to my one and only. I work from 8am to 5pm Mondays to Fridays. The kids finish schooling at 5:45pm to 6pm. I can only leave after 5pm when all work is done. This is also the little time I have to run – at the best speed I can. The only possible solution to ante-up the mileage is to do doubles – but that is easier said than done. It means sacrificing time cutting my short sleep. Of course, I am wiling to do that. I just go with the feel. If I can’t get up on an alarm – it’s not something I push. Body says – SLEEP. Occasionally, I walk to work and climb up via the stairs to 28th Floor. It’s a good work-out for me. Anyways, Saturdays and Sundays may not be that FREE – but it is flexible so far. From NO RUN to Short Run. LOLS. Too little is enough for me. Aimed for an hour (1:30) and 30 minutes for every 10K and at least 2 hours for the last 10K. Praise be to the Almighty Father. I was able to sustain, and push my pace up a bit. 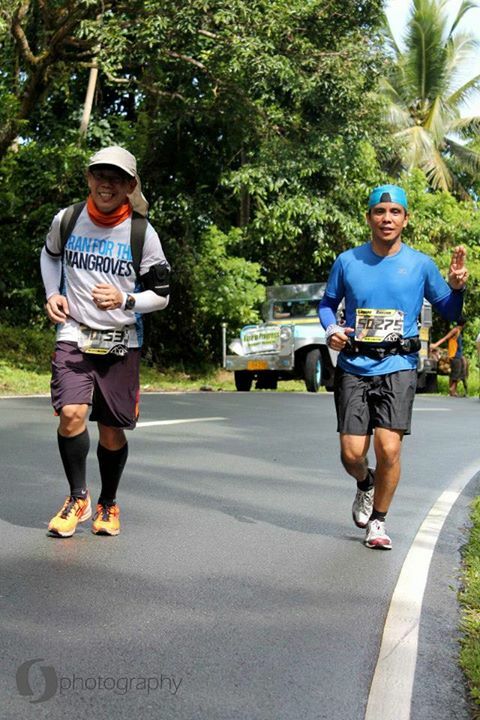 Ronald SP Robles – Finished the 50K Laguna to Quezon Ultramarathon last June 16, 2013. 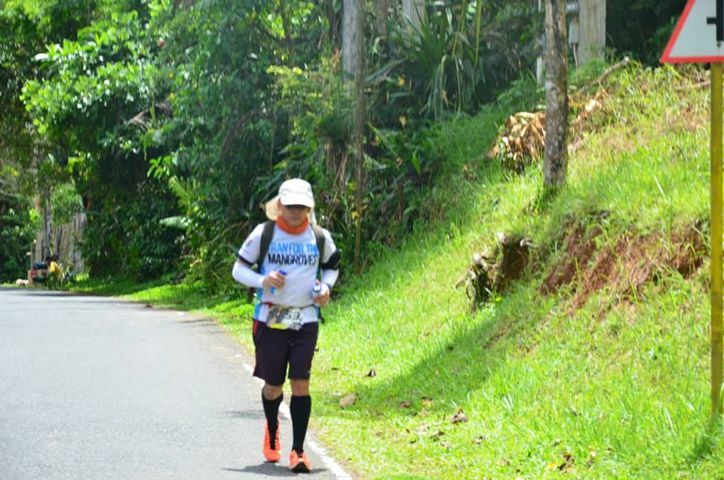 Daphne Rose T. Codilla – Finished the 50K Tanay Ultramarathon last June 12, 2013 and still! kept her title as Female Champ! 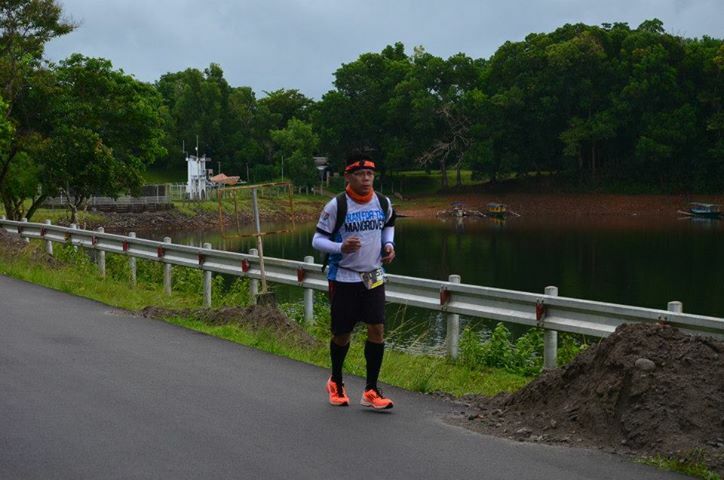 Japhet Andrew A. Grande – Finished 50K T2N last December of 2012. 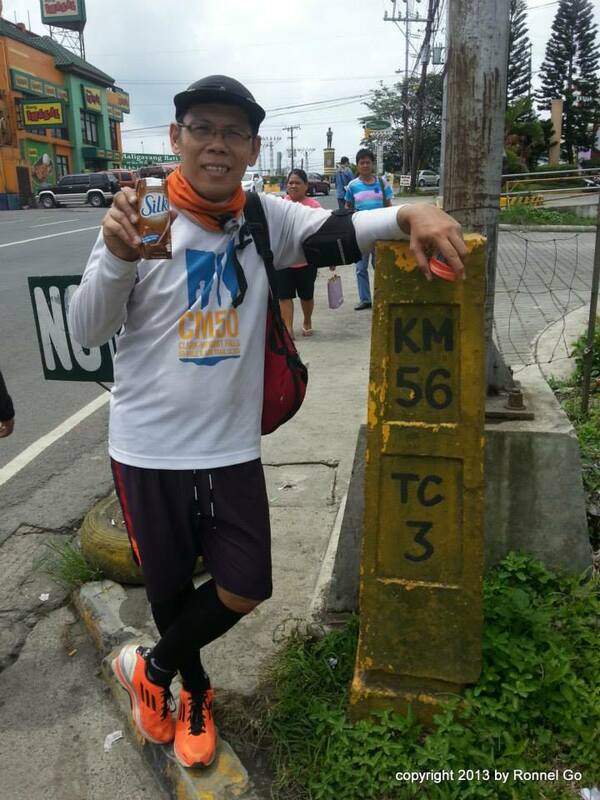 Francisco R. Delmo Jr. – Finished the 50K Tanay Ultramarathon last June 12, 2013. Wesley Noel S. Oraña – Recently finished the BDM 102 of 2013. 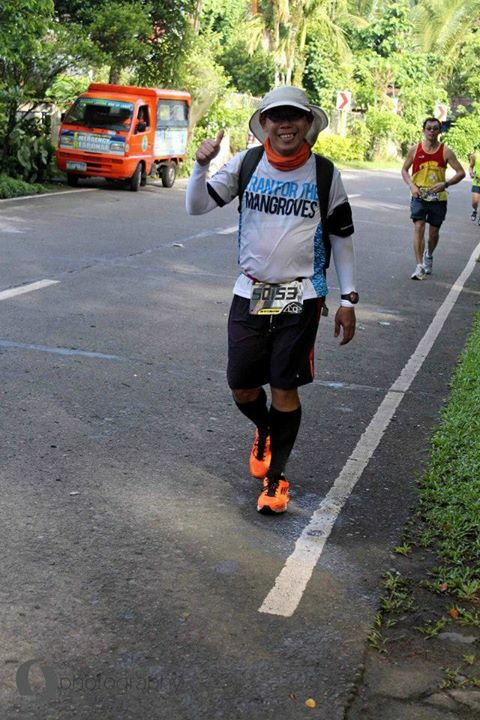 Jimmy Ong – Finished the 50K Tanay Ultramarathon last June 12, 2013. Wilnar Iglesia – Finished the SN250 last June 14 To 16, 2013. He bagged 3rd place! (Awesome guy! Always humble!) A rare breed! 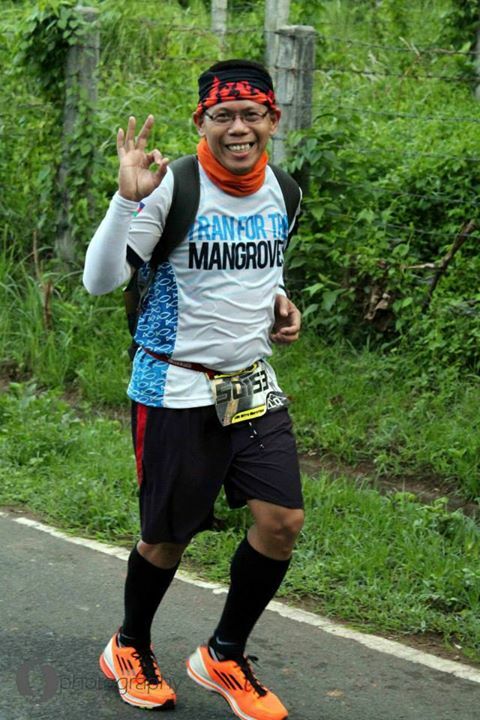 Jerome Estrada Jamili – Recently Finished the BDM 102 of 2013, Silver Medalist. Camilo R. Paran Jr. – Recently Finished a Grandslam BDM 160 and 102 of 2013. @5:34pm 3.04K fartlek run in 00:18:37. Ave Pace = 6:07/km. @5:45pm 1.30K jog in 00:09:43. @7:20am a 2.48K walk from home to office in 00:26:35. Ave Pace = 10:43/km. @7:28am a 1.79K walk from home to the shuttle bus to work in 00:20:45. Ave Pace = 11:34/km. @4:32am – 10.70K 10:1 run walk in 01:27:32. Average Pace = 8:10/km. 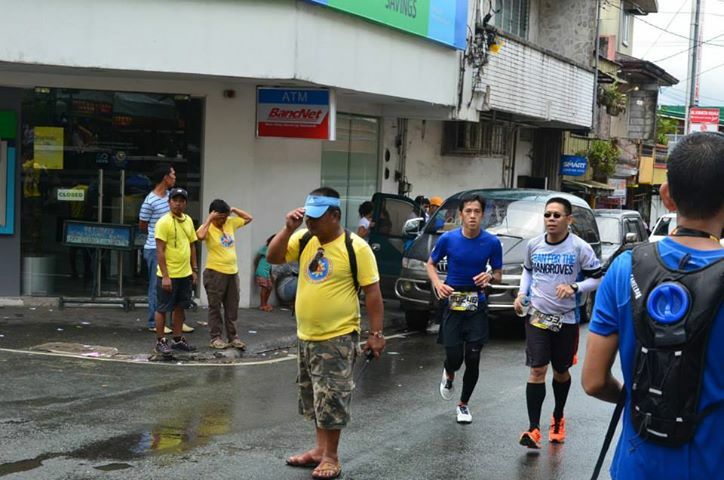 A run from Guadalupe to Saints Martin and Paul, in Pasig. Took only 3 gulps of water during the run. 3.52K run walk in the flooded Metro streets in 00:40:40 recorded via Maverick apps. Loaded 1L + 1 Cobra energy drink before gunstart. 52.55K 10:1 run walk in 08:12:00 (unofficial). Recorded a sub-8 hours @ KM50. Carried a heavy bag for this race. About 7 kgs. Inclusions: Change-Clothing. Slippers. 2 Chuckie, 2 Nescafe in Can, 2 Ensure Bottles, 1 Ion Energy Can, snacks…loose change for buying at the nearest sari-sari store. 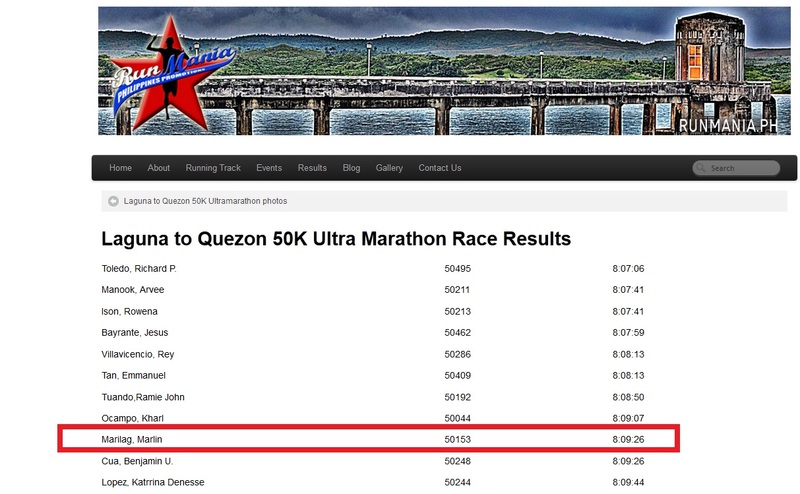 1st ultramarathon for this year. I have unintentionally paused the record somewhere in Caliraya. It shows only a 50.24Kms in 7:54:30. Still, something to be happy about. Given the route’s elevation and grade, the heat, and the perfect placing of the hydration stations. As of the 21st of June, no official result is published yet. Longest race for the year is 21K before yesterday’s L2Q. 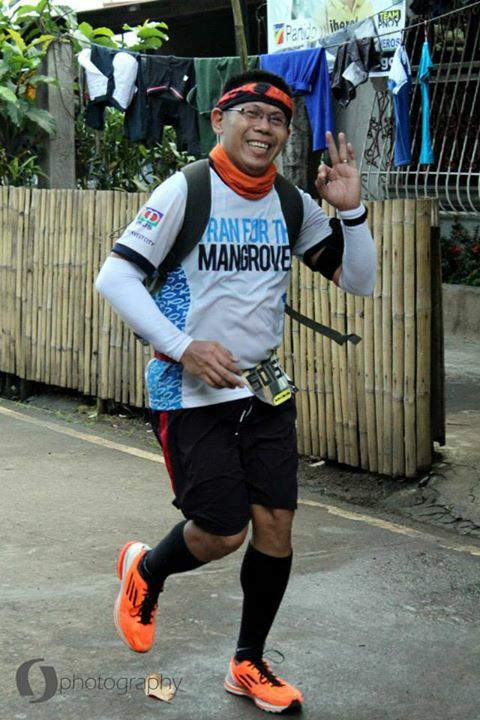 It’s my first ultramarathon for this year. @7:10pm, I left home to DLTB Buendia. @8:02pm, I entered the long line. @8:47pm, bus is already in Alabang Metropolis. @9:27pm, bus is already in Calamba City. @10:38pm, bus is already in Sta. Cruz, Laguna. @10:55pm, I am already having a Burger Steak meal at Jollibee Sta. Cruz. @past MIDNIGHT, with Ronald Robles, we bought water at 7-11. After, a light coffee snack at a bakery opposite the Provincial Capitol of Sta. Cruz. We tried to take a nap. I failed. We tried to find a good place to rest but I still failed to get the needed sleep. I was just so energized. 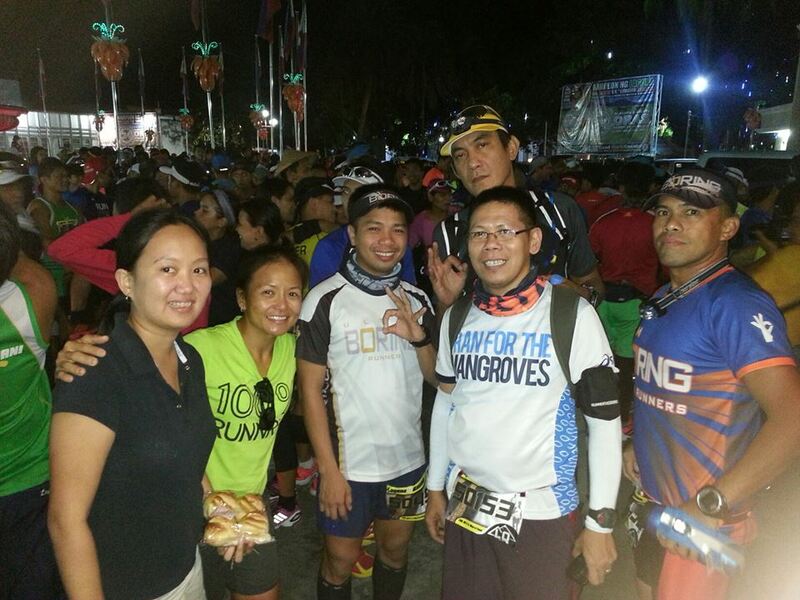 @3:31am, we startled to mingle with the big crowd of ultrarunners. Lots of pictures. 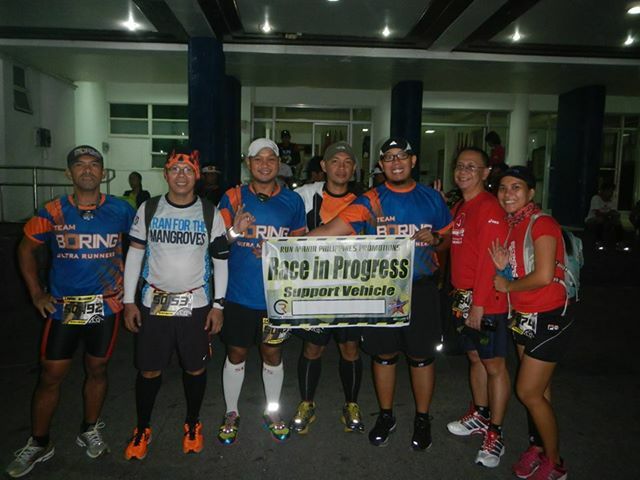 TEAM BORING runner in attendance: ME, Thea Sangrador, Ronald Robles, Nonong Mortel, Rej Santos, Bong Bernadez, Mccoy Lontoc, Rod Apolinario, and Boo Toledo. On Self-Support: Me, Thea and Ronald. @7:01am, first softdrink @ a sari sari store. A very small bottle of Sprite. @8:22am, next softdrink @ a sari sari store. A small bottle of Royal. @8:48am, reached KM 30. Had a nice cone of ice cream. Ahead of 9am Target. @9:22am, first twitch of a developing cramp. @11:30am, @ the welcome ark of Lucban. 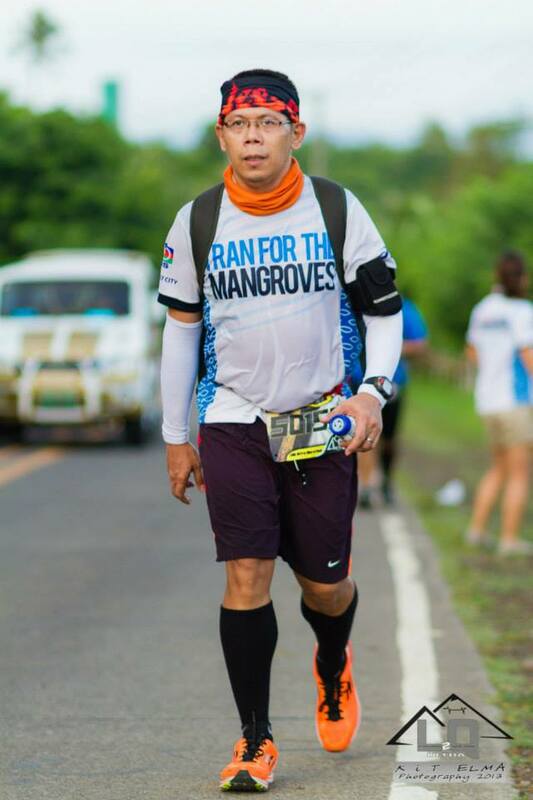 a few meters after an ice cold coke by Meljohn Tezon, I was able to push the pace – only to be halted by a big and nasty hamstring cramps. Thanks to a nearby support car of a kind runner I-failed-to-get-the-bib-number-nor-the-name. I was really grimacing in pain – and the man hurriedly applied an omega pain killer (or something) to my relief! 🙂 God is good indeed. I was back at my fast walk and I pushed the pace until the finish line. My record via My Track shows a 50.24K @ 7:54:30. The route was 52.55K. Unofficially, I think I saw 8:12:++ when I crossed. But then, I think it better to post the official result once it is published. I have a sore back, shoulder and quads – for carrying my own supplies. But I am glad I did. 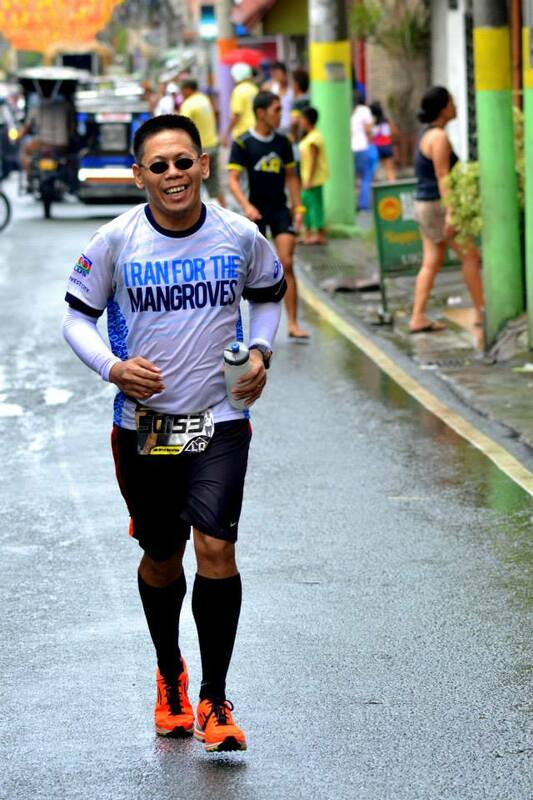 Jet Paiso offered to take the bag to the Finish Line in the last 5K – so I was able to run and walk a bit faster without the excess weight. At the time of this writing, I can walk normally even on stairs. Thank God! I have lots of people/team to thank. Team Boring: Jet Paiso, Joy Vargas, Vivs Toledo, Cindy Sevilla. The rest I didnt get to see along the route. Either they are far away ahead or behind me. Team Fairview: Special shout to Amang! Tubig lang yun – pero yun ang kailangan. Team Ekek: right at a time when it’s all too hot – a cold spray! 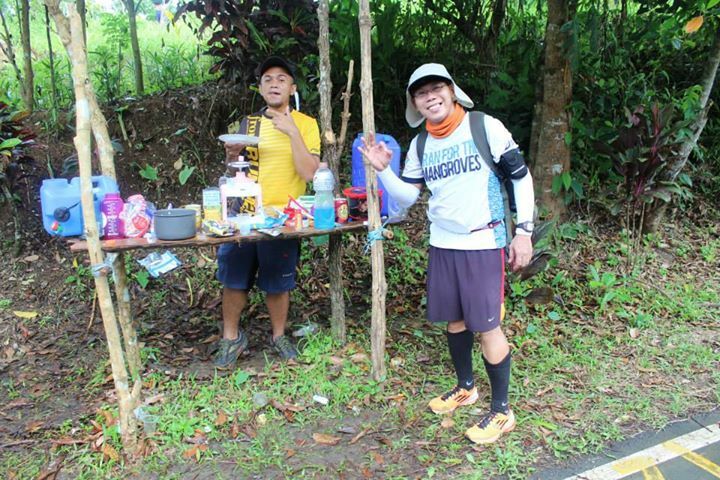 Team Marupok: Meljohn and Brian – a big thanks! Very nice store of everything! Right also at a time when something is needed. Leo Tugade and his team of snails! 🙂 Salamat sa Flat Tops! The race was well organized. Marshalls are to be found exactly where you need to find the route. The water/gatorade at stations are cold and right at the point as announced. GU was given. Ice Cream too. Ambulance always on standby. Cheers abound too. The route is well managed in terms of the traffic. Roving marshalls are everywhere! It is worth noting that the route’s view is majestic and amazing. This is a run worth repeating. Kudos to the Organizer of this race. God bless you! 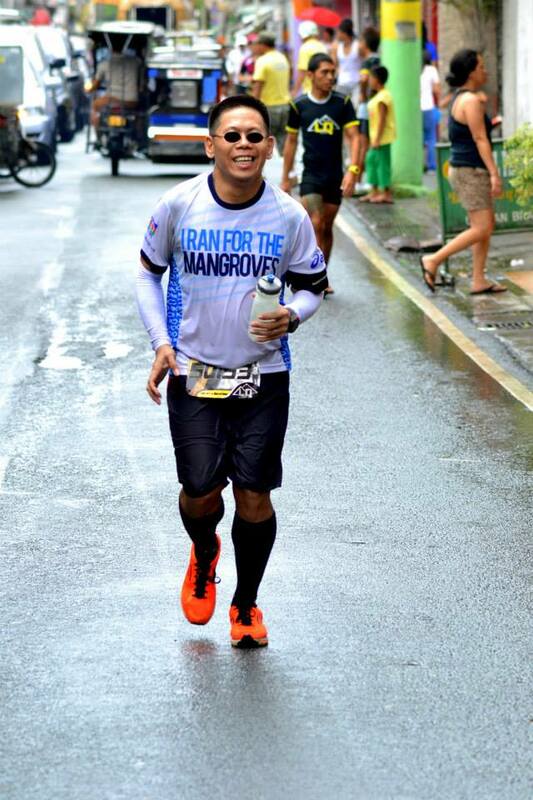 the 16th of June, I will be running a 50K Ultramarathon from Sta Cruz, Laguna to Lucban, Quezon (L2Q) – on self-support. Such feat is not for everybody. I’ve done this already. 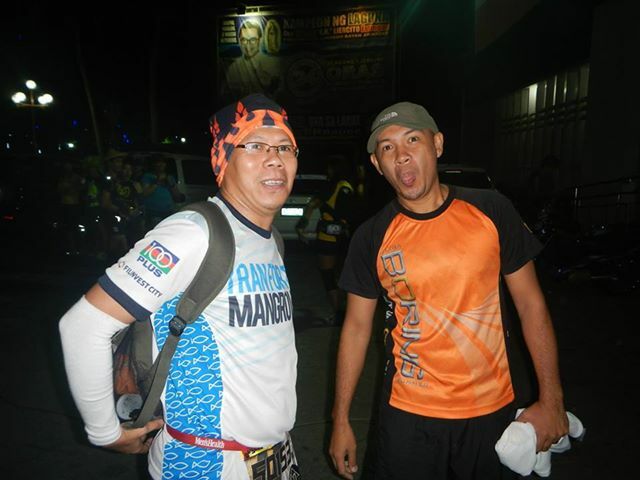 In T2N 50K, and Fort Magsaysay 60K. It’s a big bonus already when you get to be of the same pace with someone supported and willing to share supplies. …and that’s how ultramarathon is. People share. People care. If they don’t? Pray to God that there’d be lots of sari-sari store along the route. L2Q is a new route. 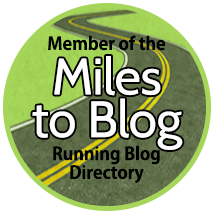 No one has ever blogged about it nor reconned the route and shouted. Given that there’d be convenience or sari-sari store along the route, we still can’t tell how far each is to one another. A runner must rely on what is carried – which is a must. At least bring some and conserve until stores are found. Ok. Let’s rephrase. Since I will be running on self-support, this is exactly how I will do it. BRING WHAT I NEED. At least a supply enough to carry me above 10K. Hoping that before or after 10K mark, there’d be some stores to buy something, an aid station that has something to offer, or some angels to aid me. 🙂 NOTE: From Sta. Cruz Capitol to Pagsanjan Municipal Hall is about 5K only. So the 1st 5K is not a problem. CARRY ONLY THE LIGHTEST. OF course, one cannot sustain a heavy load over a long distance. It has to be just enough to be something bearable. NOTE: From Pagsanjan Municipal Hall to Lumban-Caliraya-Cavinti Road is only 3.3K. There’s a Public Market before the fork – it’s wise to re-load there and carry a bit more. FREE YOUR MIND – PRAY. When I run, I do not entertain negative thoughts. Rather, I pray a lot. There’s nothing better than this. Me and my God on a very long chat! 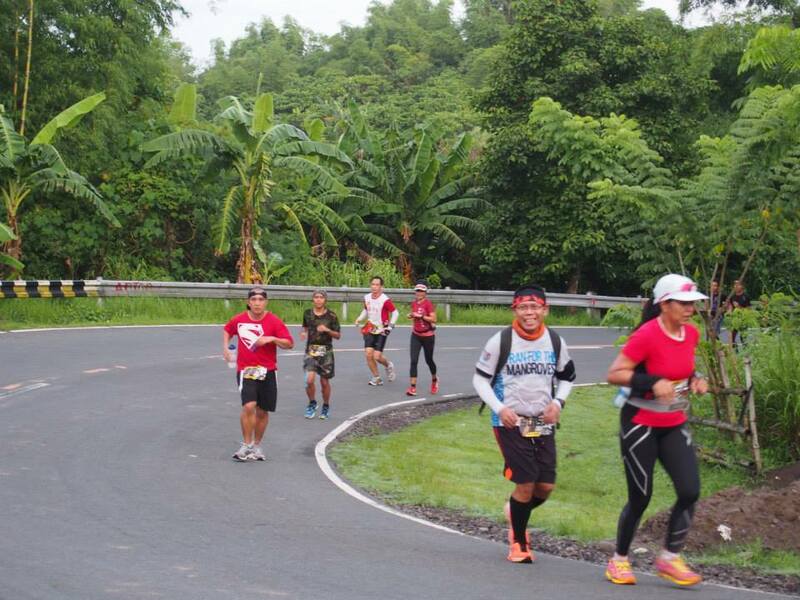 NOTE: From Lumban’s STI College, there’d be a community in the next 4.9 to 5.2K of the route. This is already past the KM 20 of the race. Still, a safe race in terms of supplies.The BIble says in Hebrews 13:5: New International Version (©2011) Keep your lives free from the love of money and be content with what you have, because God has said, “Never will I leave you; never will I forsake you.” No worries, right? CAREFUL NOTE: The next 5K from the KM 20 of the route is a bit similar to the last. Pray that the small community at this point has something to offer for the passing runners. 🙂 An ice-cold JUICY LEMON or an RC perhaps? ENDURE. The next 5 to 6K of the route is another jungle. I need to endure and rely on my supplies at this point until I reach Cavinti-Luisiana Road. Joseph Prince Baltazar should be at this point. 🙂 LOLS with rice meal on hand! This is now KM 31 to 32K. HOPE ALWAYS FOR THE BEST. RELY ON GOD. The next 5K is a jungle again. But there’s a number of small communities along the route. God will provide. This should be KM 37 of the entire route. READY FOR THE FEAST. The next 5 to 6K is in Luisiana already. It’s a crowded place. There ought to be a lot of vendors there – for me to feast on. This is KM 42 to 43. Last jungle stretch to the FINISH. I should be burping and smiling at this point. AGAIN, do not lose focus here. Last stretch to the finish must be endured. 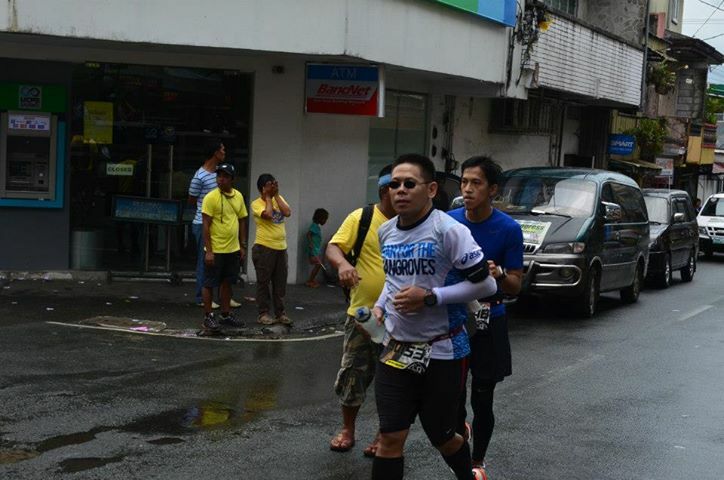 I will have to rely again on what I am carrying before the Finish Line in Lucban. I should be light at this point too because I am sure that I am already running at a fast pace. But then, caution on too much confidence. We can never tell the weather. My 10:1 Run Walk can do this. All I have to do is just to vary the pace. I made the map via google.